This is a virtual reality puzzle game devloped for the Oculus Go. In this game the player enters a dungeon and has to solve a puzzle game to get out of the dungeon again. Gameplay and hardware considerations The goal was to test the Oculus Go hardware and create the game in a way that would not work on regular Cardboard Headsets by integrating the Oculus Go controller into the game. The final app is an addictive puzzle game that was developed with an iterative apporach in mind. 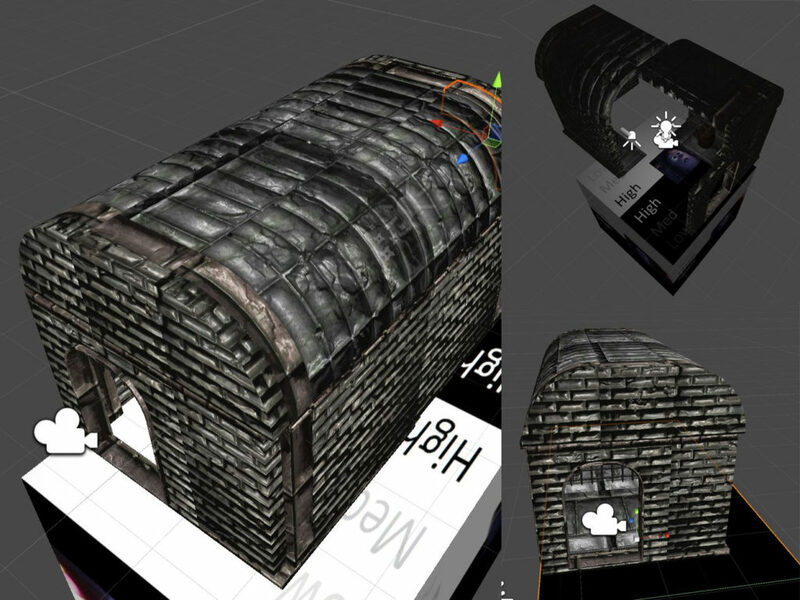 After each iteration usertests were conducted to fine tune the game for the next iteration. 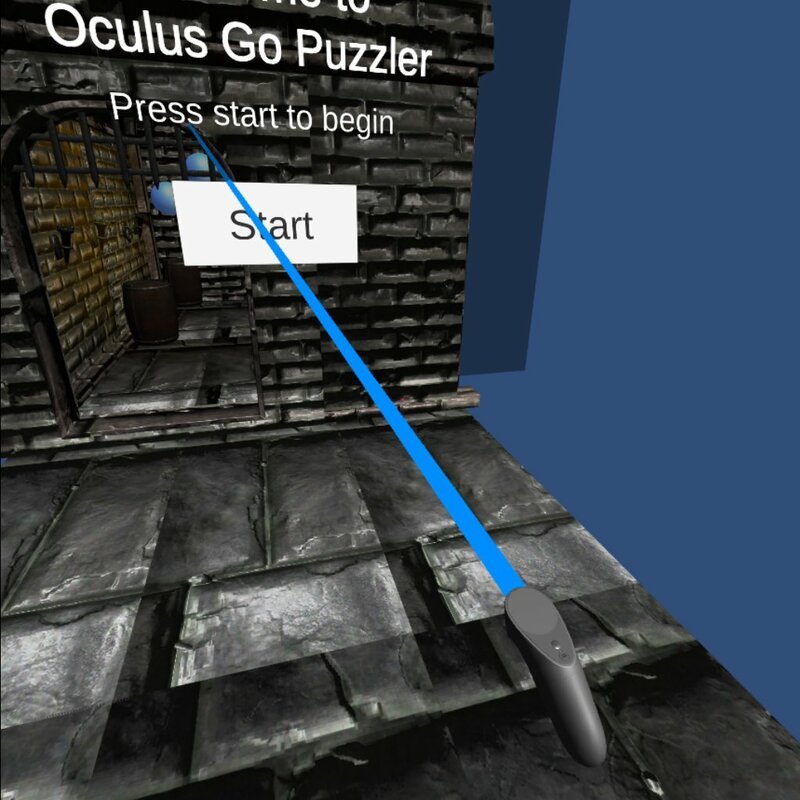 Oculus Go VR Puzzle Game is a VR app for new VR users (especially new to Oculus Go) which challenges them to solve a classic type of puzzle game in VR. We used “Sven” as a template for the persona. Sven is 31 years old and loves new technlogy and game but he didn’t try VR yet. He loves to play games on his playstation 4 and also playstation VR interests him. But he isn’t convinced to spend money on VR yet. He first wants to try it. Sven loves arcade style games without a prolonged storyline or complicated gameplay. He wants to get straight to the core of the game. 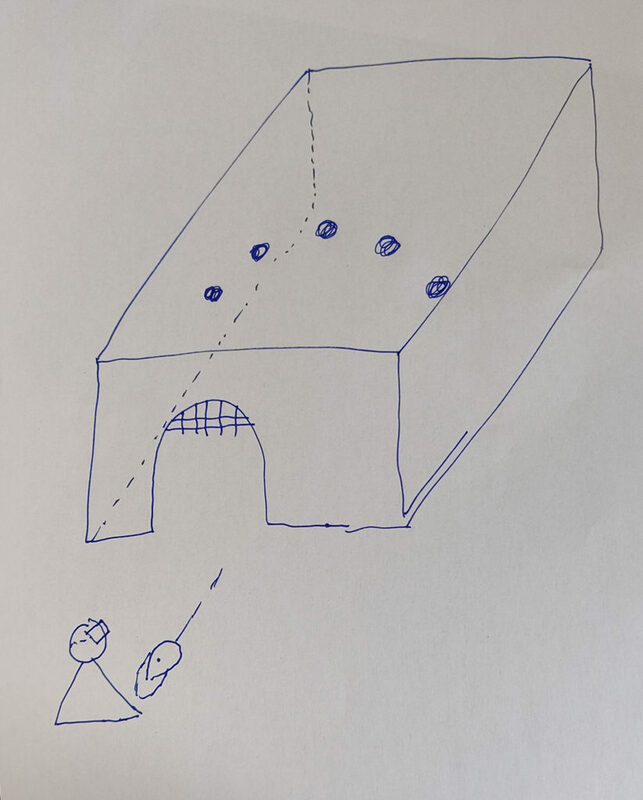 A sketch of the game from the planning and brainstorming phase. I conducted a test with a user who tried VR before but only at events. I asked the user if he thinks the scale is accurate and if they like the mood of the scene. The user reported that he feels bigger than in real life and that it feels like he hits the arrows of the gate. Therefore we created a new iteration that fixed this problem by positioning the virtual camera a little bit further down the vertical axis. The same user was asked to give feedback for the UI. He said it works as expected and was able to use the start and the restart ui. Therefore no changes were made to the scene at this point. Again the same user was asked to try the actual game. At first he didn’t notice that the orbs where highlighted and therefore wasn’t able to repeat the pattern. Therefore the intensity of the light up material of the orbs was increased. After that change the user had no trouble playing the game. Being able to move is a key selling one for VR. Then at the same time it can lead to motion sickness. That’s why we decided to keep the movements in and out of the dungeon fast and line to reduce the risk of motion sickness. 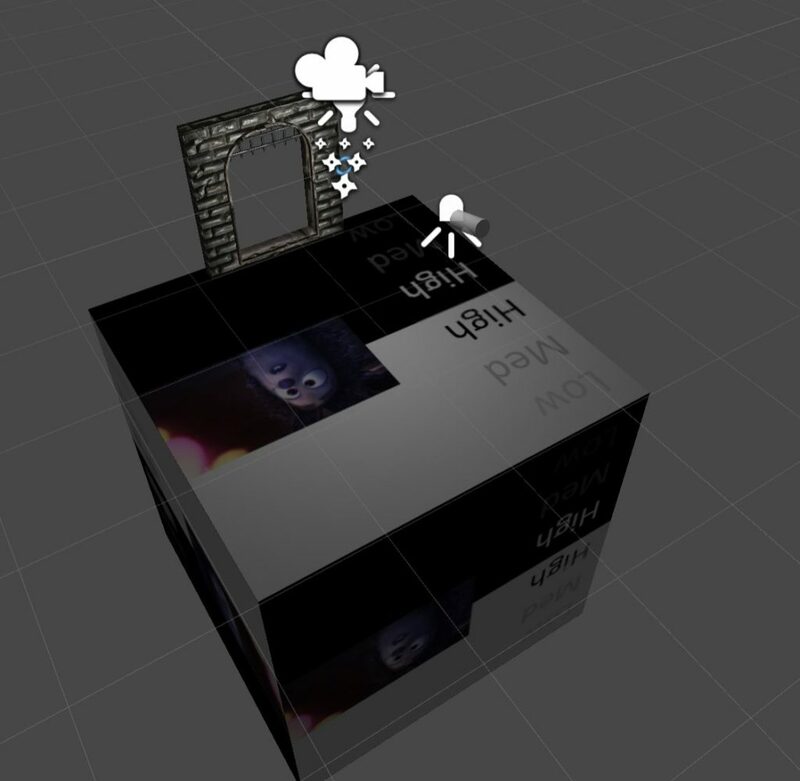 Being limited to the graphical capabilities of the Oculus Go we tried to create a dark mood. After the room was completed a lot of time was spent placing and adjusting lights to create the desired mood. The documentation only showed how to add the basic controller. But with some research it was also able to add a laser beam to activate UI elements and play the game itself with the controller. It was an interesting project because it was based on a tutorial. But the tutorial was for Cardboard and for Oculus Go some things had to be changed. That way it was a greater challenge and took longer then expected. The next steps would be to add a difficulty system and improve the visual style.